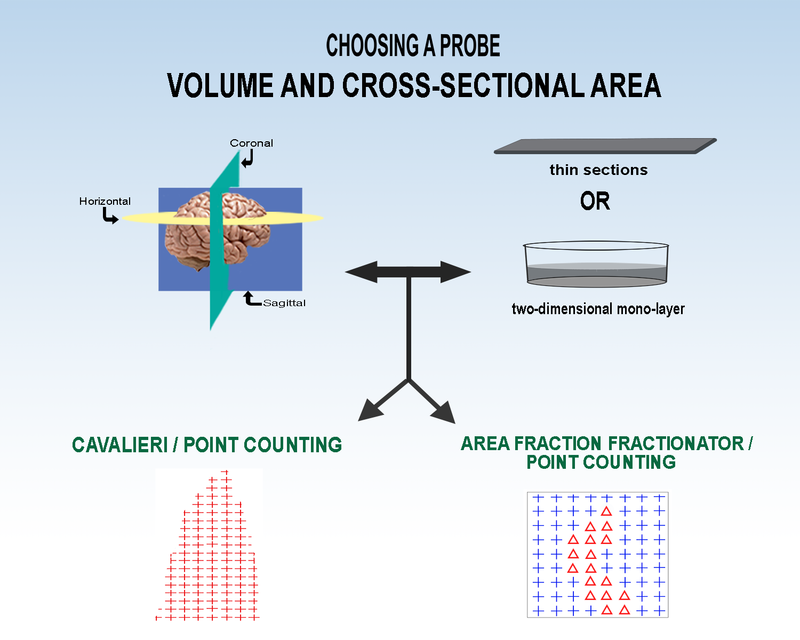 For an example of unbiased estimation of volume with the Cavalieri/point-counting method see ‘Cavalieri Estimator‘. Howard, C.V. and M.G. Reed (2010) Unbiased Stereology, Second Edition, Chapter 4, Estimation of Component Volume and Volume Fraction, QTP Publications, Liverpool, U.K.
García-Fiñana, M., L.M Cruz-Orive, C.E. Mackay, B. Pakkenberg, and N. Roberts (2003) Comparison of MR Imaging Against Physical Sectioning to Estimate the Volume of Human Cerebral Compartments, NeuroImage, 18, 505 – 516. Tandrup, T., Gundersen, H.J.G. and E.B. Vedel Jensen (1997) The Optical Rotator. J. of Microscopy, 186, 108 -120.